I admit, I buy cheap jewelry. So sue me! It’s just the green ring that’s embarrassing! Like sometimes I take off my jewelry mid day because it’s annoying, and I look down and see the NEW green ring that I DID NOT buy. Stupid. Care for a cure? 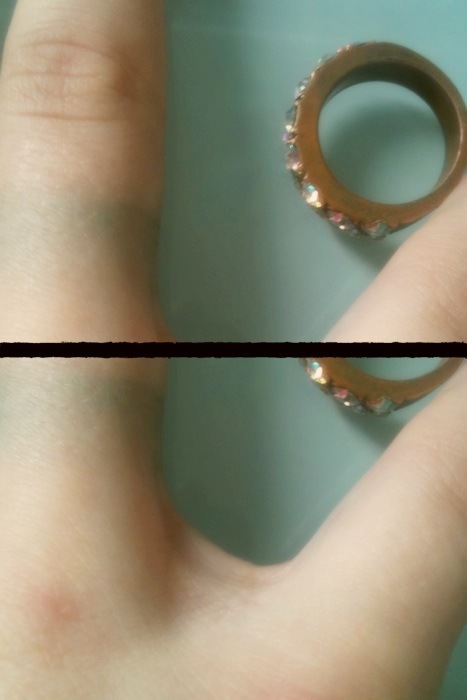 Try painting the inside of the cheap jewelry with clear coat nail polish. Works like a charm. And if you have the stain from NOT using this method, try heavy duty dish soap.